China’s top financial supervisory agency under the State Council met twice over the past month discussing ways to free up credit in support of the real economy, Caixin has learned. Policymakers are concerned that measures intended to encourage lending to micro and small businesses haven’t succeeded in “unclogging” the transmission mechanism of monetary policy. Amid a deleveraging campaign to reduce systemic financial risks, China’s credit growth has slowed significantly in recent months. Small private businesses have especially felt the squeeze of tight liquidity and higher financing costs. The cabinet-level Financial Stability and Development Committee at its most recent meeting in late July asked banks to improve internal incentive mechanisms to encourage lending to micro and small businesses while ensuring that the overall money supply is well controlled, according to a statement published Friday on the State Council’s website. The statement echoed similar pledges at recent meetings of the Politburo and the top banking and insurance regulator as China’s policymakers are shifting their focus toward supporting growth amid signs of slowing economic expansion and the escalating trade war with the U.S.
Policymakers emphasized the need to balance between stabilizing economic growth and preventing risks. Growth of China’s total social financing slowed to a record low of 9.8% in June while the rise in the broad M2 money supply slowed to 8%, the slowest since official data began in December 1999, according to the central bank. While growth in formal bank loans has remained robust, trust loans, entrusted loans and undiscounted bankers’ acceptances shrank sharply in the first six months. 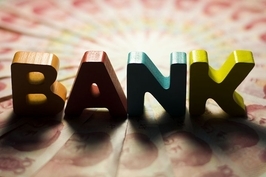 Those are common forms of shadow-banking finance on which small businesses often rely. 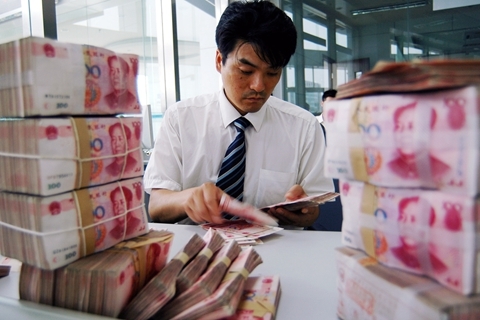 It is harder for small private companies than state-owned enterprises to obtain bank loans. The root cause of the situation lies in the way bankers are evaluated, according to Sheng Songcheng, an adviser to the People’s Bank of China. This year, the central bank has announced three targeted cuts in the reserve requirement ratio for some lenders aiming to increase credit for smaller enterprises and lower their financing costs. Despite regulators' efforts, small businesses have still felt the pinch in obtaining credit, suggesting that more capital is flowing to speculative sectors instead of the real economy. Yang Weimin, an official from the Communist Party committee overseeing economic policy, recently warned that much of the increased credit is just circulating within the financial system and real estate sector rather than benefiting those parts of the economy that produce real goods and services. 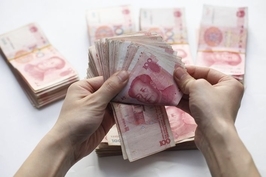 To ensure that funds ultimately do flow to small companies rather than being channeled elsewhere, the central bank should strengthen its monitoring and follow-up inspections of the flow of funds released by the cuts, Sheng said. 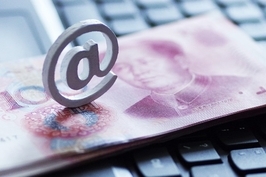 Chinese banks don’t have a unified standard for defining small and micro businesses, which makes statistics on credit targeted to such businesses unreliable, said Lu Jinsong, a former official at the National Audit Office.